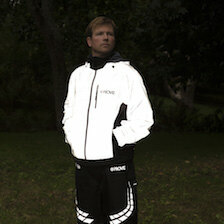 When the temperature drops and the nights draw in it can be hard to find the motivation to head out on the trails. But, although mud, rain and snow might make staying in by the fire or hitting the treadmill at the gym sound like better options, winter conditions can make for great running too. 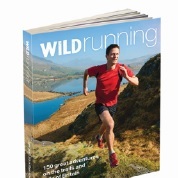 Jen & Sim Benson, authors of guidebook Wild Running (Wild Things Publishing, £16.99), share their top tips for getting out and having fun, whatever the weather. Find out more and buy their book at wildrunning.net. 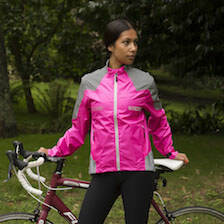 Proviz customers can get 25% off and free UK P&P by entering code PROVIZ at the checkout. It always feels like there’s so much more time to run in the summer, when both mornings and evenings are warm and light. With the arrival of winter it can feel as though running in the dark is your only option, but a lunchtime run can be a great way of making the most of the available daylight. It’s also a good way to introduce some new trails into your training, as well as exploring a new area. There may even be others who want to run with you: always great for a bit of added motivation. If there’s no option but to run in the dark, a bit of company can make an otherwise lonely training session much more fun. Arrange to meet a friend after work (or before if you’re really motivated – it’s great to get training out of the way early!) or join a club and face the darkness together. 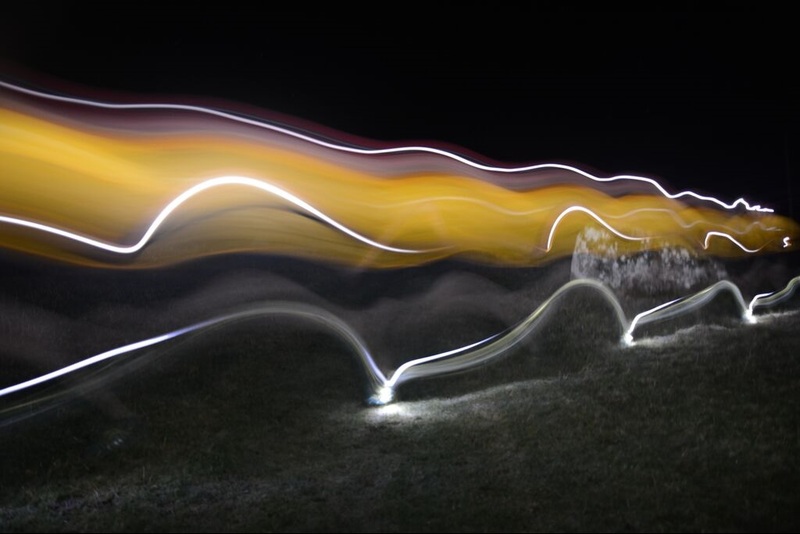 A good head-torch is an absolute must when you’re running in the dark. We invested in an excellent set last winter and were astounded at the difference they make, particularly off-road when seeing every bump, twist and turn makes running infinitely more enjoyable – and safer too. Get the brightest you can afford and you won’t regret it! With a bit of planning, running off-road in winter can be just as much fun - if not more - than in summer. Frozen ground requires a bit of extra care to negotiate but is often much easier-going than when muddy. Snow can make for some really exciting running: we love being the first out on a snowy morning, breaking a fresh trail across the fells. And of course there’s little better than getting out, getting muddy and having a blast on the trails with the reward of a hot bath when you get home. When it comes to clothing, cold-weather running is all about layers. Running generates lots of heat, so even if you start off freezing cold you’ll find you warm up rapidly. Having several layers, rather than a single warm layer, means you can adjust for this. We always make sure we carry an emergency warm layer when we’re running off-road in winter too, in case we need to slow down or stop for any reason. Footwear is an even more important consideration when the weather’s bad. Shoes with shorter studs work well on firm trails and rocks, whereas deeper lugs will give you better grip over slippery, muddy terrain. Fit is really important too, as shoes that are too large are more likely to trip you up, whereas shoes that are tight will be uncomfortable and make your feet feel even colder. Socks are an essential addition too, with many brands making winter-specific socks that offer warmth, cushioning and even waterproofing. There’s a fantastic range of winter running accessories to choose from, all of which make heading out in the cold a much more pleasant experience. Natural fibres such as Merino offer good warmth, with light weight and small pack-size, meaning you can stash hats and gloves in a pocket once you’ve warmed up. Headbands keep your ears warm, without covering your head, or a Buff or similar can be used as a neck-warmer, sweat band, hat or bandana. Simply keeping warm burns calories fast, so it’s important to make sure you’re well-fuelled for winter training. We love porridge on cold mornings to get our fires burning ready for a run. Recover with a well-deserved hot chocolate – cheaper, more delicious and just as effective as a protein shake. There’s nothing like having a race on the horizon to keep you motivated. 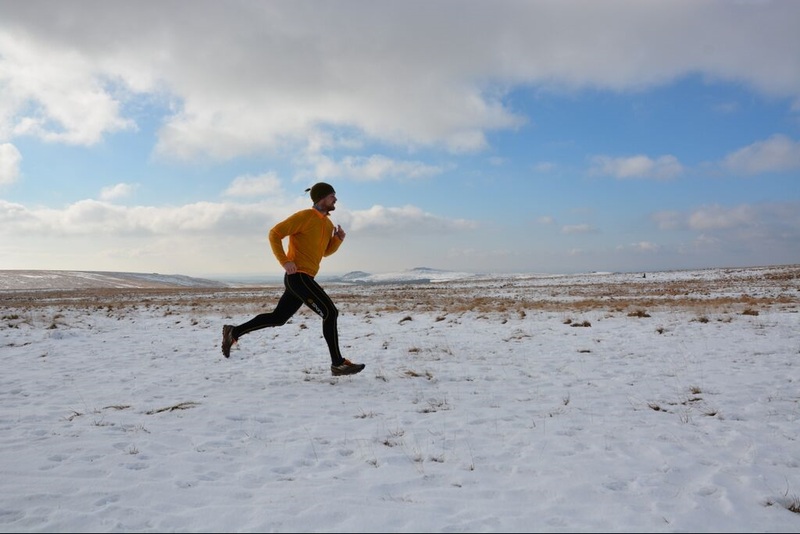 There are lots of fantastic winter races to choose from, whether you prefer a cold, crisp half-marathon or a full-on muddy fell run. 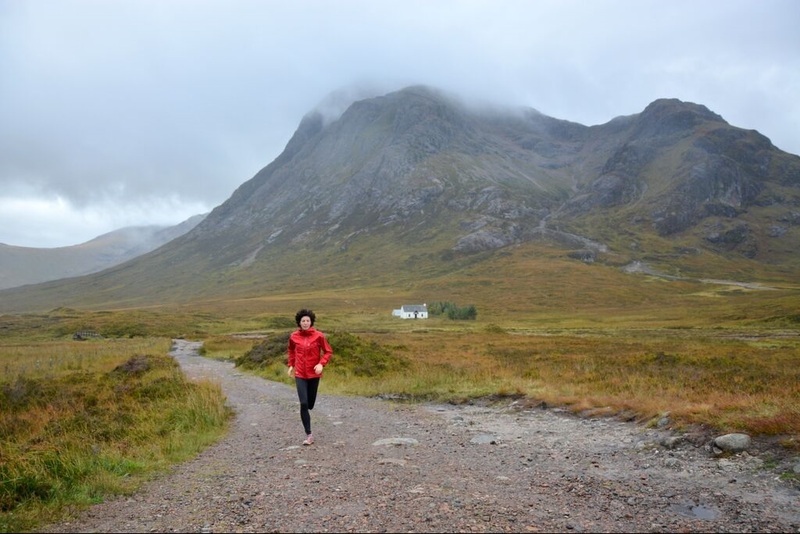 Many of the bigger marathons are staged in early spring too, so having one to train for is great for staying on track when you’d rather stay in. Even running off-road it’s important to make sure others can see you, especially when you’re crossing or running alongside roads. On grey days its’s good to wear bright colours so you stand out from your surroundings. 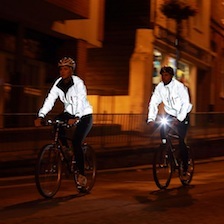 At night make sure you have plenty of reflective details on all of your kit to ensure you’re as visible as possible. 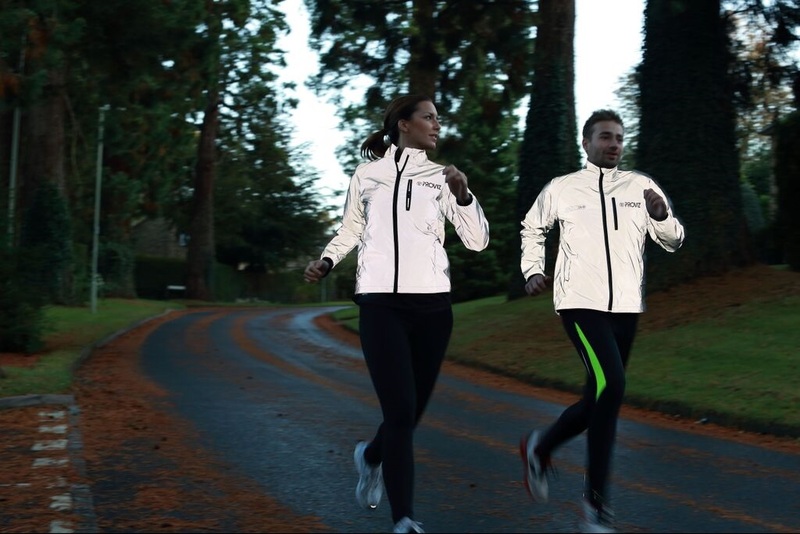 We’ve noticed having reflective detail on the parts that move most during running, such as hands and feet, is particularly eye-catching and therefore effective. 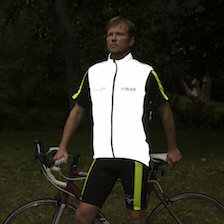 The Proviz running range will make sure you’re as visible as possible.